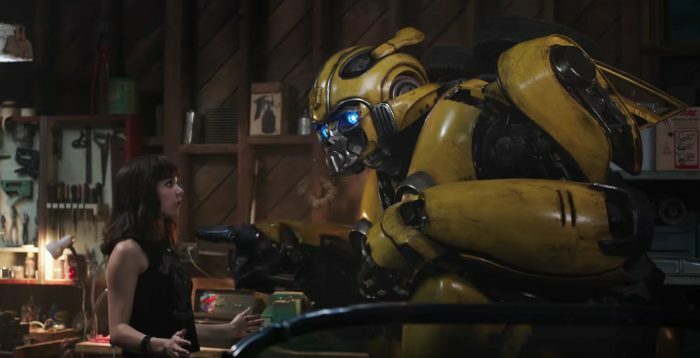 If you were hesitant about the upcoming Transformers prequel film, Bumblebee, then the new trailer might make ease you a bit. The video gives a much better look at the premise of the film, namely that the popular Autobot is on Earth as Decepticons arrive and humans are losing their minds about the bots. The most intriguing thing isn’t the general plot, to be honest, but how true to Eighties setting and form the film looks to be. It’s so true, in fact, that Bumblebee is (finally) a VW Beetle instead of a Camaro! Also worthy to note, ad perhaps more exciting, is that the Transformers themselves look to be in their original Generation 1 style. That is, they LOOK LIKE THE ORIGINAL CARTOON.